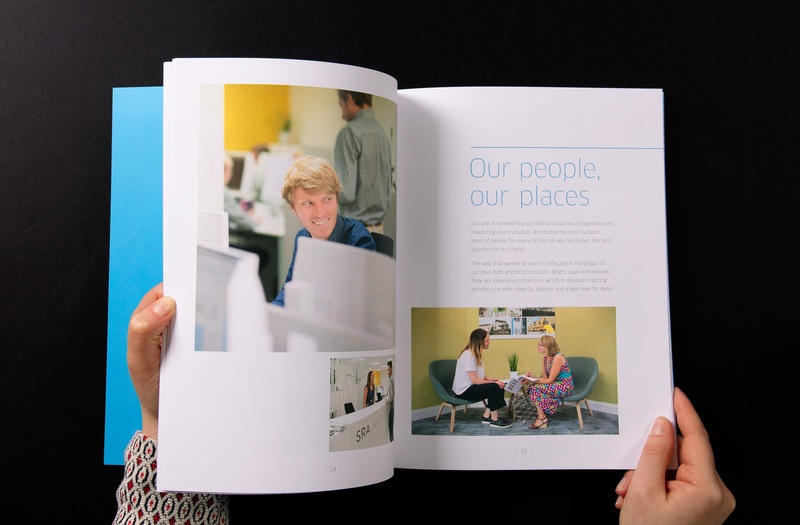 A calm, confident (and human) corporate brochure – building a brand for a business that builds for brands. 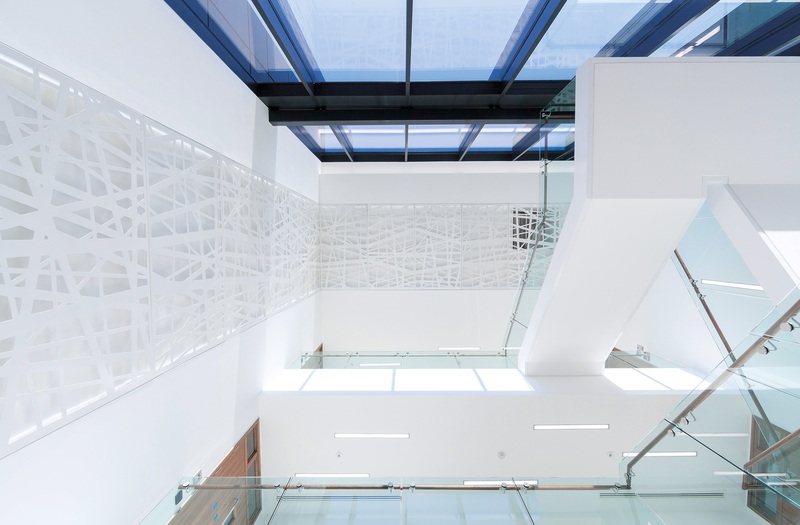 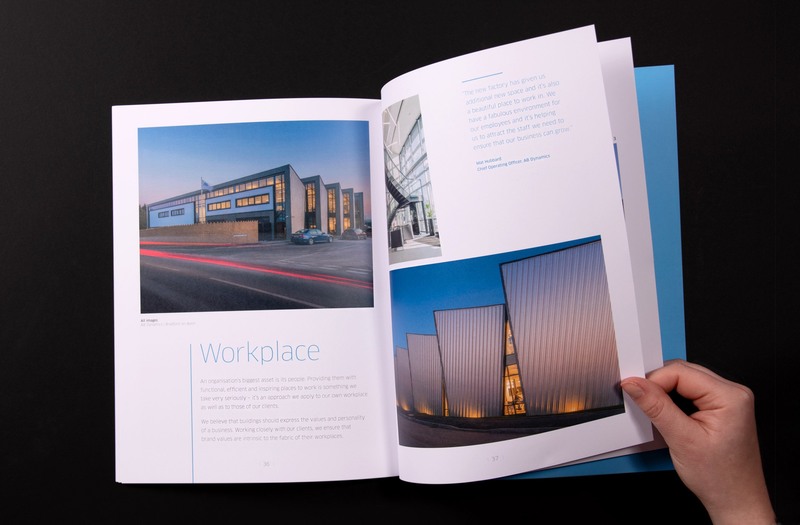 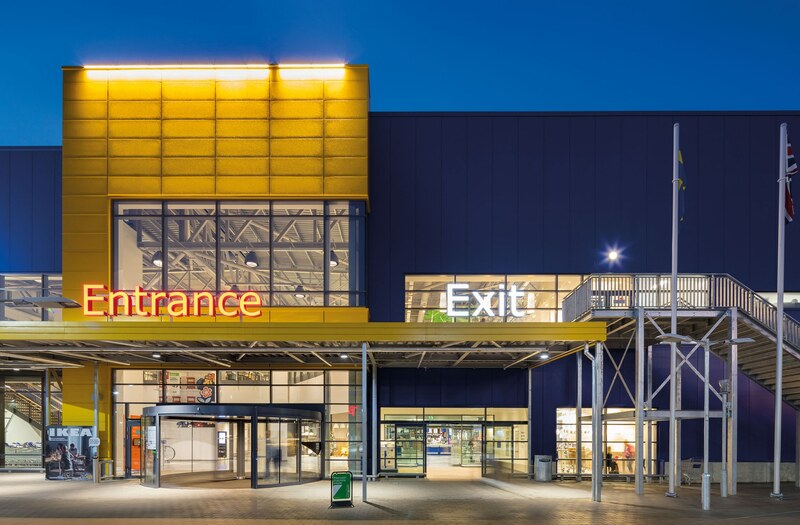 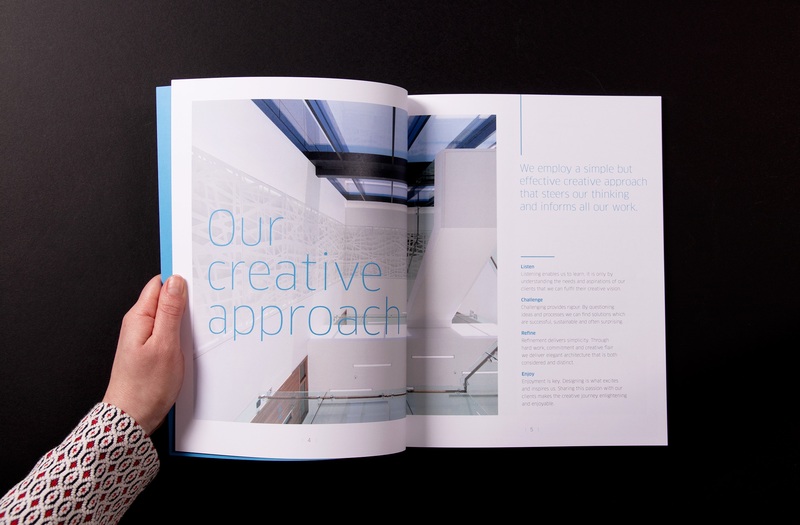 Written and designed by Ignition, this calm and confident corporate brochure articulates the ethos, collaborative approach and award-winning work of this successful architectural practice in a style and tone of voice consistent with their personality and values. 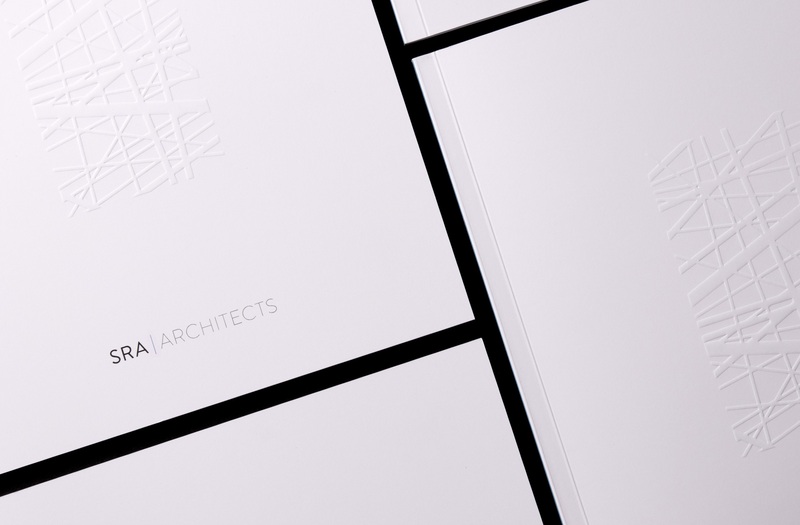 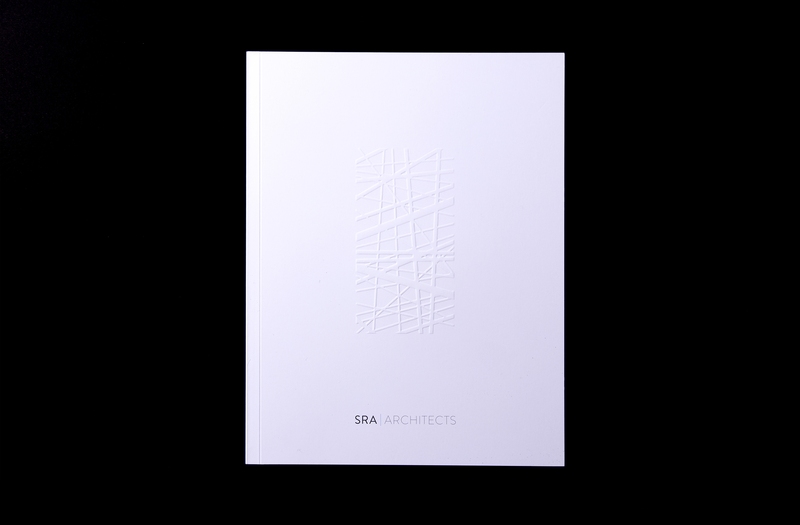 The cover's emboss features a custom pattern designed by SRA, used in one of their major interior fitting projects. 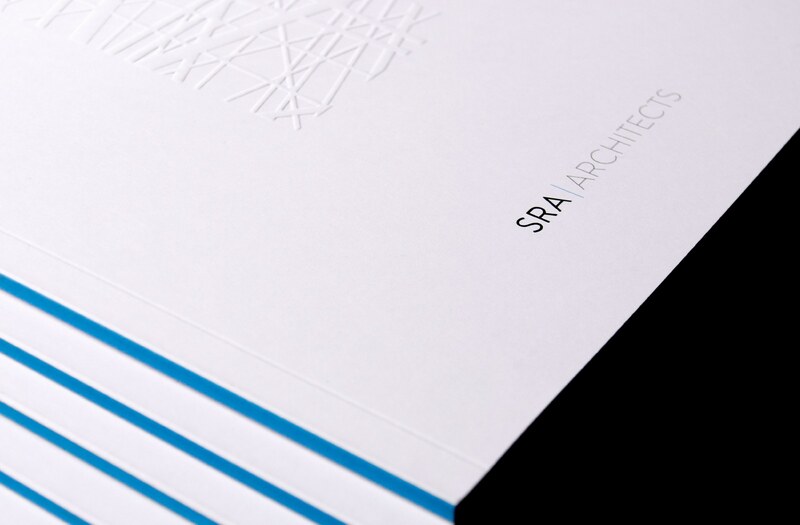 The SRA brand blue was used sparingly – on the book's spine and for a splash of colour on the end papers.